Last year I tried my first BB cream, the Dr. Jart+ Premium BB Cream to be exact, which I liked but was not amazed enough to buy the full size. A few months ago I received the Dr. Jart+ Water Fuse BB Cream in a Birchbox and was excited to see if this would be a bit more moisturizing and than the Premium version. The Water Fuse variation supposedly contains 50% water to hydrate and impart a dewy look to the skin. This BB cream is oil free and contains SPF 25 PA++ which is decent for day to day wear. I almost always apply sunscreen underneath my makeup but on very lazy days BB creams are great because they have a bit of sun protection. Like most BB creams, this one comes in one "universal" shade which will only suit people with skin on the lighter end of the spectrum. The 50 ml tube retails for $34 at Sephora but $32 at Birchbox. Above you can see my bare face on the left with absolutely no makeup and the right side is only with the BB cream applied with my fingers. I dabbed the cream all over my face and used it like a concealer over my dark circles. Although not all of my discoloration and acne scarring is covered, I think the coverage is quite good for a BB cream. My under eyes are significantly brighter and the general unevenness of my skin is reduced. A really cool feature of this BB cream is that when applied with the fingers, you can see particles that look like shimmery water droplets glide onto your skin. I failed to notice this aspect until my third time wearing it because the effect seems to show under certain lighting conditions. There is no shimmer in the formula and the feeling is only a very brief cooling, almost wet sensation but it actually looks like you are rubbing water into your skin. This effect does not seem to show if you use a buffing brush for application. Using a brush actually allows me to use less product so I can avoid a heavy layer of makeup sitting on my skin. After you have fully blended the product in, the skin is not tacky or sticky at all and my skin felt a bit dry. I do not find this BB cream moisturizing at all and it even seemed to highlight some of my drier spots which was disappointing. However, I found that throughout the day the BB cream seemed to meld with my natural skin oils and it looked better after a few hours of wear. 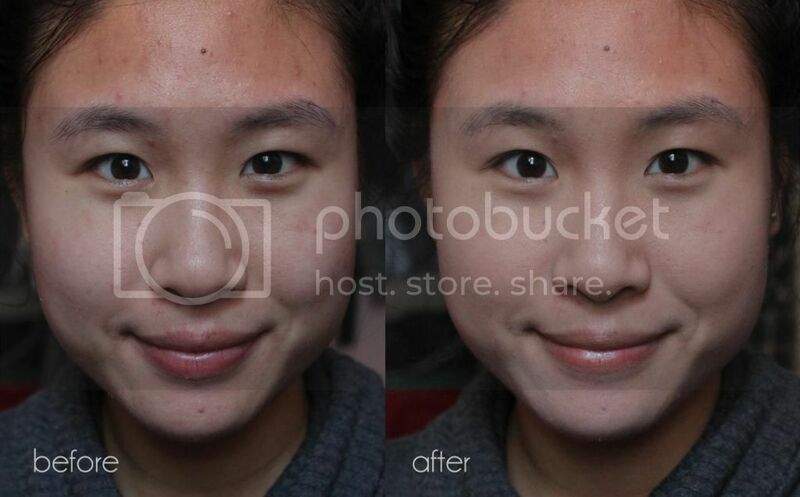 The oil control is highly impressive as only my nose got a tiny bit oily after eight hours of wear. My cheeks, forehead and chin were impressively non-greasy thanks to this BB cream. Even though my oil is controlled, this BB cream imparts a lovely sheen to my skin that gives me a subtle glow that allows me to skip a highlighting product altogether. My skin looks brighter and healthier even if some spots aren't totally covered. 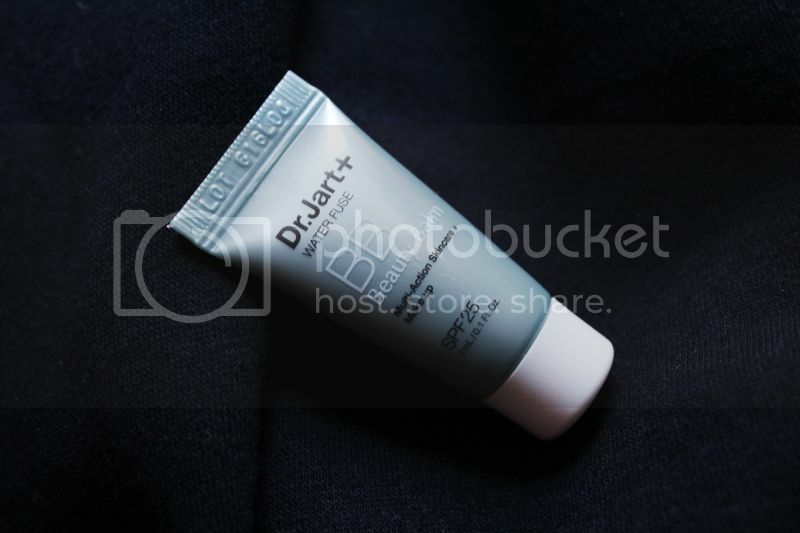 The Dr. Jart+ Water Fuse BB Cream is a nice product if you are fair, like natural looking skin, have normal to oily skin and want a glowy complexion. While I enjoy using this product for daily wear, I wish it was just a touch less heavy on the skin as I can definitely tell I am wearing makeup. I am currently debating if I should purchase the full size as an everyday base product. If you have tried this, let me know your thoughts! What is your favorite BB cream? I ordered the trial set of Dr.Jart bb creams from sephora to give them a try first! Hope it works with my skin. I really like the origins BB cream atm! That set looked really appealing to me but I already have tried two of the four. I hope you like these BB creams! The Origins BB cream was pretty good but it felt more like a tinted moisturizer to me and it oxidized into quite an orange color that is too dark for my fall/winter skintone. I think for me BB creams are something I'd have to try a sample of before I can determine if I like it or not and one of the main problem I found in BB cream is getting the right shade. Sometimes the shade selection are limited and the self-adjusting shades are kind of sketchy. I totally agree with you. A lot of BB creams are really light and gray toned which tends to make my skin look sallow and dull. I do not think I could ever get away with wearing BB creams in the summer months because my skin gets a lot darker. I think this looks a bit less gray than the Dr. Jart+ Premium BB Cream by just a little bit. I think regular foundations tend to suit more yellow skintones but the BB creams lean more gray and pink in an effort to brighten the skin. Actually, if you check out the Dr Jart website, all of their BB creams in about 4 different shades. This one has 4 or 5 different shades that you can choose from and they look quite good! Really? I just checked their website and do not see options for different shades. On Sephora's website they explicitly say "one universal shade" so I do not think this particular BB cream is offered in different versions.